Canadians experience the enormous economic benefits of competition daily. For most consumer goods, over time, Canadians pay less and get more. 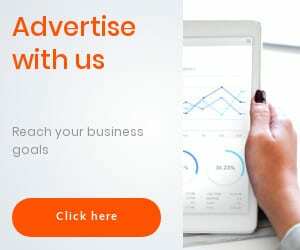 Businesses compete to offer customers the best products at the lowest prices; those with offerings that consumers judge unsatisfactory are eventually forced to go out of business. As long as there’s competition, consumers are the kings. Take the example of Sears. In a 2016 study, economist Don Boudreaux and his colleagues compared prices between Sears catalogues from 1976 and 2011. Over these 35 years, the prices of consumer goods fell dramatically. For example, the price of an electric guitar fell 61 per cent, the price of women’s jeans fell 39 per cent, and televisions and microwave ovens were almost 90 per cent cheaper (in real terms, adjusted for changes in the overall consumer price index) in 2011 compared to 1976. In addition, over this period the quality of electric guitars, clothing and appliances that Sears sold improved significantly. But even though consumers were paying much less and getting much more, Sears is in bankruptcy because consumers found they could pay even less for even better goods, and more conveniently, elsewhere. Such are the benefits of market competition to consumers. However, questionable government policy often deprives Canadians of competition when accessing the most important goods and services. In Atlantic Canada, this is the case for schooling. Unless parents are willing and able to make a significant financial sacrifice to pay twice for schooling – once with their taxes and again for private tuition – they have no choice but to send their children to a government-run school. The results of this government monopoly? Unlike in the competitive markets for consumer goods where over time customers pay less and get more, in Atlantic Canada taxpayers have been paying more for schooling while student achievement is either flat or declining. Consider the results from the Programme for International Student Assessment (PISA), which evaluates the academic performance of 15-year-old students in developed countries. According to the 2016 report from the Council of Ministers of Education, reading scores have been flat in each Atlantic Canada province since 2000, math scores had declined in every province except P.E.I. since 2003, and science scores fell in Newfoundland and Labrador and remained flat in the rest of the region’s provinces since 2006. Furthermore, in 2015 all four Atlantic provinces scored below the national average in all three subject areas. Despite worsening results, Atlantic taxpayers have been paying more. In 2014-15, all of the Atlantic provinces except P.E.I. spent more per student in public schools than the national average, and real per student spending increased by between 26 per cent (Nova Scotia) and 42 per cent (P.E.I.) over just nine years. Meanwhile in provinces with greater degrees of school choice, taxpayers and students both reap the benefits. A recent report by Paige MacPherson for the Atlantic Institute for Market Studies highlighted the case of charter schools – independent, government-funded, non-profit schools that don’t charge tuition – in Alberta. Over the past decade, students in those charter schools achieved higher provincial test scores than private school students, who in turn outperformed public school students. The demand for more school choice and alternatives to the public school system is immense. In 2015, CBC reported that one Alberta charter school had a waiting list of more than 11,000 students. Parents and children benefit from higher quality education. Taxpayers also benefit. The Alberta government spends about one-third less per student in charter schools compared to the public schools. Just as market competition allows Canadians to pay less and get more when it comes to consumer goods, the Alberta experience shows that increasing competition in schooling can improve quality while reducing costs. Adopting the Alberta charter school model in the Atlantic provinces would be a good first step in giving parents and children more choice and allowing them to enjoy the benefits of competition. 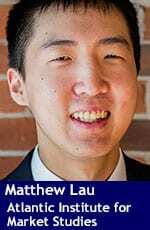 Matthew Lau writes for the Atlantic Institute for Market Studies.